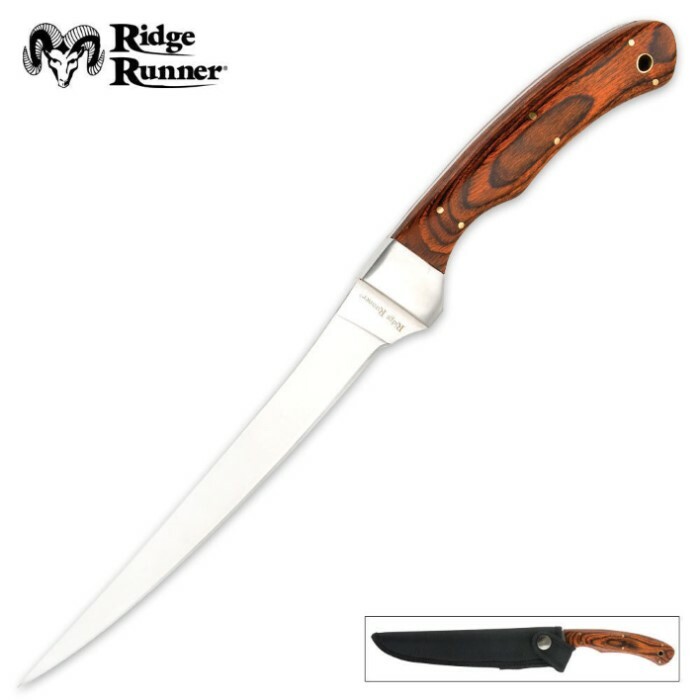 Ridge Runner Classic Wood Fillet Knife | BUDK.com - Knives & Swords At The Lowest Prices! This is a great knife. It is second only to my Folding Ridge Runner Fillet Knife. It is just a little more flexible than my folder. I would still use it over any other brand. I fillet a lot of fish, sometimes 25 Chinook Salmon in a day. I always rely on one of my Ridge Runner Fillet Knives. I can do a whole fish in 5 - 10 minutes, nearly perfectly.